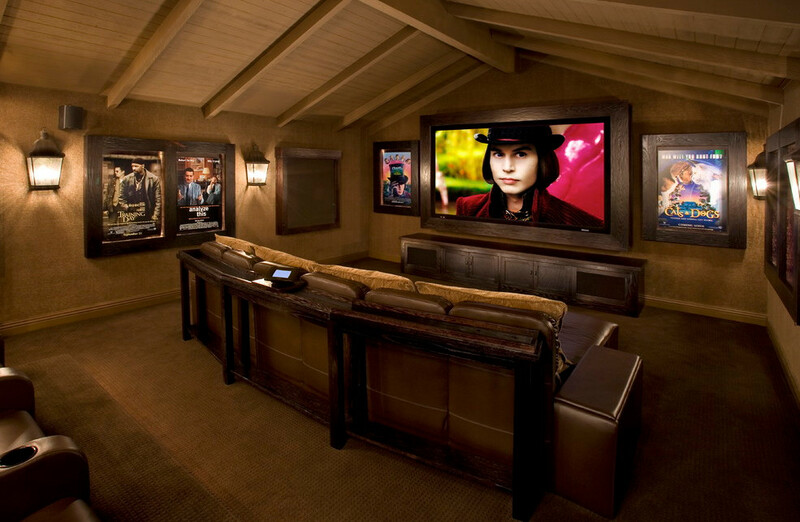 When all you want are dull colors for your movie room, go for dark brown and its color variations. Sofas can be brown but they can be brightened up with amber pillows. Choose lighter brown wood finishes for the ceiling, walls and floor. Some brown frame portraits look ideal for your room as long as you remember to add bright wall lamps.